Jessica says, Don't leave Boston without enjoying a stroll along one of Boston's waterways, sampling the seafood, and taking in a bit of history. With Boston's Cruiseport, Black Falcon Pier, letting you off in the midst of a super hot neighborhood, you'll have no shortage of restaurants within walking distance to choose from when you depart your vessel. Step onto the Shores of Boston and set off on foot to find, not only the 10best restaurants near Black Falcon Pier, but some of the most often booked in the entire city. Boston's Seaport District and Fort Point Channel have more restaurant options than you can enjoy in one visit to this rapidly expanding destination. 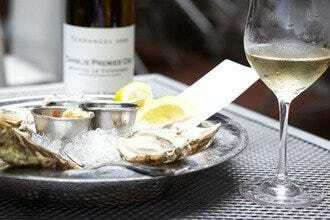 At some, the delectable eats offered match the views from their patios. Steak lover's are in luck as famous steakhouse favorites have chosen to call this area home. 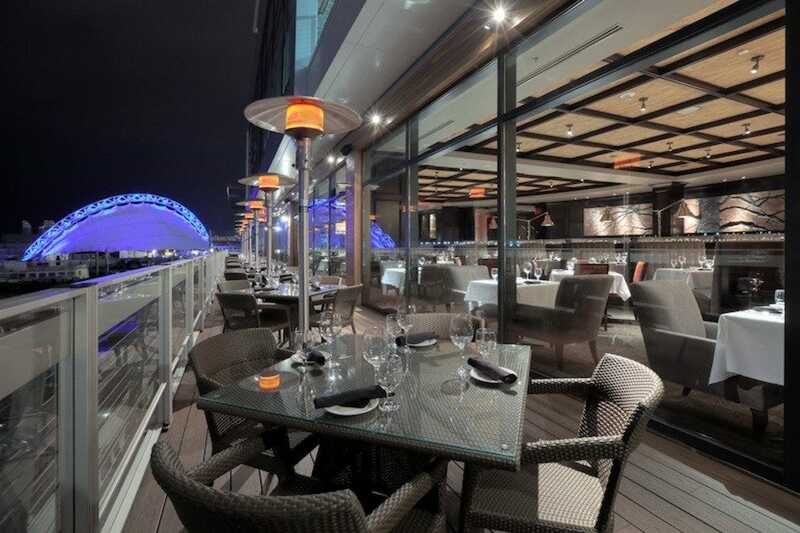 Grab a table on Del Frisco's glass walled, second story patio for spectacular harbor views or dine under the awning of Smith & Wollensky's and be amazed at more than just the food because the lights twinkling along the water on Boston's HarborWalk are mesmerizing. Those seeking great Italian without the bustle of the North End will love Strega Waterfront, while visitors who prefer a bit of their Italian grandma's home-cooking will find it at Nebo. Whatever you're in the mood for, you'll find it near Boston's cruise port. Rosa Mexicano may pack the crowds due to its location in the popular seaport District, but customers return because of the stellar service, excellent eats and upbeat atmosphere. Enjoying a meal in this busy spot may require a wait, even during lunch, but a seat at the bar is just as pleasant as in the dining room. 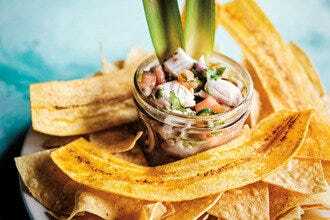 Their servers are not afraid to make a recommendation, that you should take because they know the menu well.The table-side guacamole is a must, as is the tuna ceviche and an order of tacos. 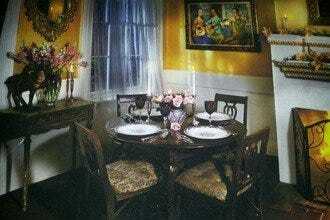 The decor is more modern Mexican, think subdued tones. Pair their food with a specialty beverage or beer cocktail and you'll have a complete Mexican meal that you won't soon forget. Gather, open daily at 11:30am and staying open late Thursday-Saturday is District Hall's only full service restaurant. Featuring a sparse, modern interior that compliments the angular shape of the structure it inhabits, Gather is a stunningly simple space. As the name suggests, gather encourages just that, people to gather. Hang with old friends or belly up to the bar and you'll find new friends, either way Gather's light hearted patrons will welcome you. Light bulbs dangle from their long electrical cords providing a bit of twinkle that sparkles against the night sky that seeps in from the floor to ceiling windows. The minimalist decor lets the food shine, as it should, because Gathers chefs whip up plates of comforting American food perfection. If you're looking to linger over a special lunch or spend time catching up with friends for dinner, Trade lets you to do both. 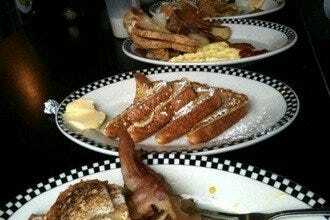 Their Greenway location allows you to step away from the sites and get more than just a minimal afternoon snack. 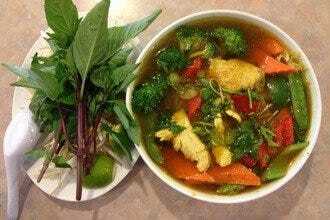 Trade's focus on local cuisine does not dissapoint. The simple flavors of the fresh ingredients shine through in each of the dishes they prepare. Seasonal changes allow diners to discover the best of what Boston has to offer in each and every season. Whether craving a sampling of small plates, or a full meal, Trade can fuel your after lunch excursions. A low key, chic spot where hotel guests and locals mingle, eat and drink inside and out, Tamo has a following among locals who return as much for the ambiance as they do the food. Enjoy small plates to share, or larger meals for one as well as a specialty cocktail and you'll be treated to some seriously tasty treats. Favorite nibbles among return guests include the pie in a jar, ham and cheese croquettes, and swordfish skewers. 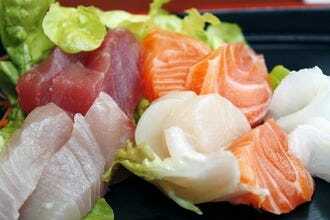 Top notch sushi is served as well as tacos, pizza and sandwiches. End your meal with one of Tamo's delightful desserts and you'll have a full meal you'll remember. 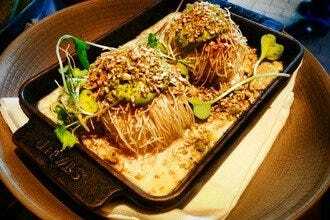 A meal at Temazcal is like a tropical escape! The floor to ceiling windows allow diners to take int he view anytime of year. While the creative menu, presented to guests on an iPad, not only explains the dishes being served, but also gives vibrant photos of what will arrive on your plate. Start out sharing their mouth watering appetizers like the fundido. Go out on a limb and order the whole roast suckling pig, or play it simple by enjoying a Mexican favorite like tacos or enchiladas. You won't be disappointed by the food or the drinks, both of which are a pleasure to devour! 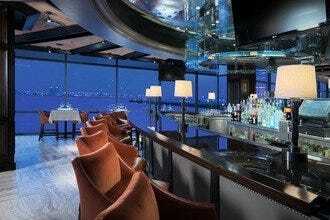 The Atlantic Wharf location of Smith & Wollensky overlooks the historic Fort Point Channel. 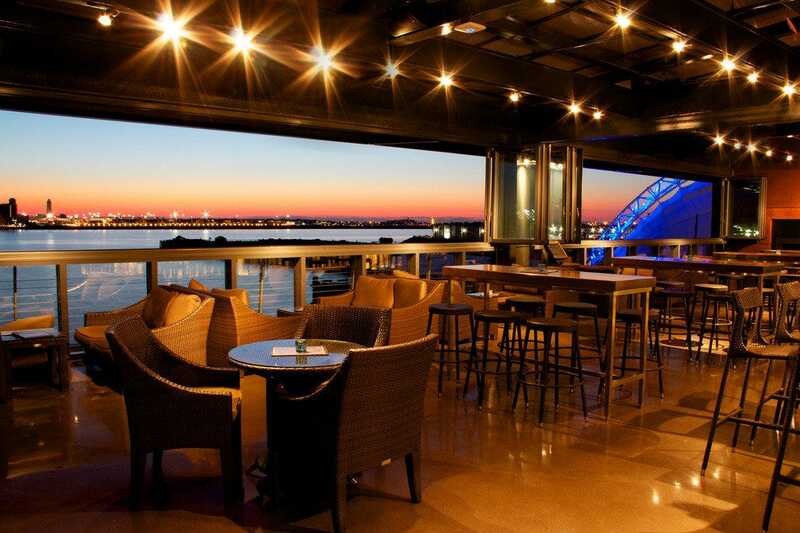 Their outdoor dining scene is bustling during the warmer months when diners can score a seat for dinner or just drinks at their outdoor bar and take in the sweeping waterfront views. Offering diners prime dry aged steaks, premium seafood, award-winning wines and an extensive cocktail list, it is a hot spot for a business lunch or special dinner. Indulge in their coffee cocoa rubbed filet or one of their dry aged favorites like the melt in your mouth rib eye. 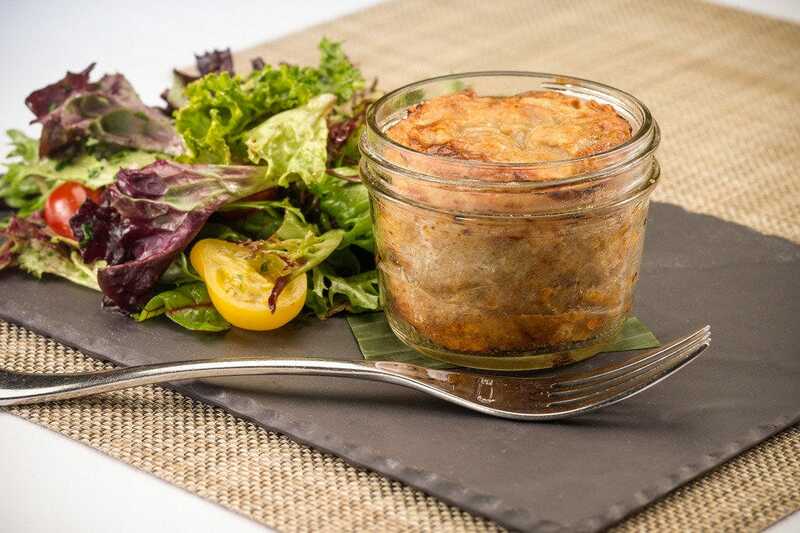 Request your steak sliced family stay;e and share a few bites of each or make a meal of their appetizers like the mussels and crab cake. 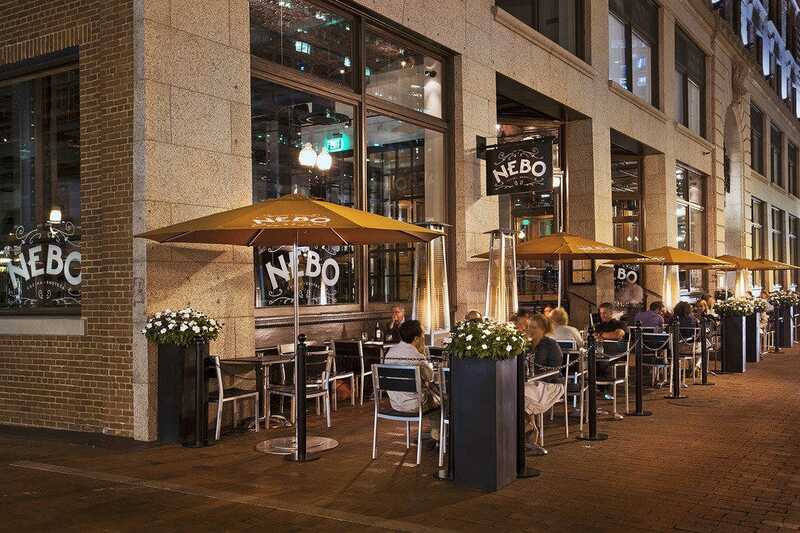 For gravy like grandma made head over to Boston's Greenway where NEBO has made its home. 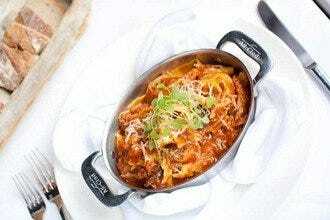 This Italian eatery serves homestyle Italian favorites inspired by their mother's recipes and plates them with pride. A modern industrial space has a cozy feel enhanced by its open kitchen and views of the Greenway outside its doors. A small patio allows for outside seating, while the bar inside allows walk ins, without reservations, the chance to dine in style even on the busies of nights. Dive into a plate of their gluten free pasta with a Neapolitan style bolognese that is packed with flavor and quite similar to the real thing, while their gluten free pizza will have you returning for more. 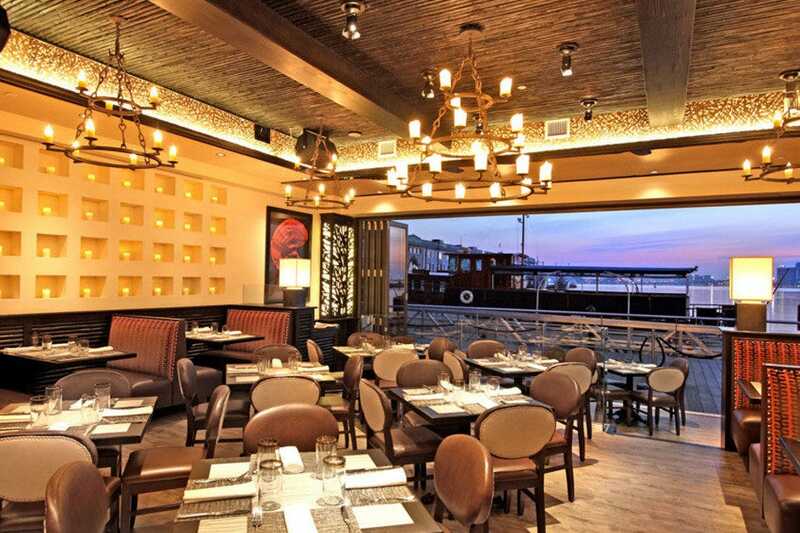 Strega waterfront has everything Bostonians love about the North End Italian eatery but with waterfront seating. 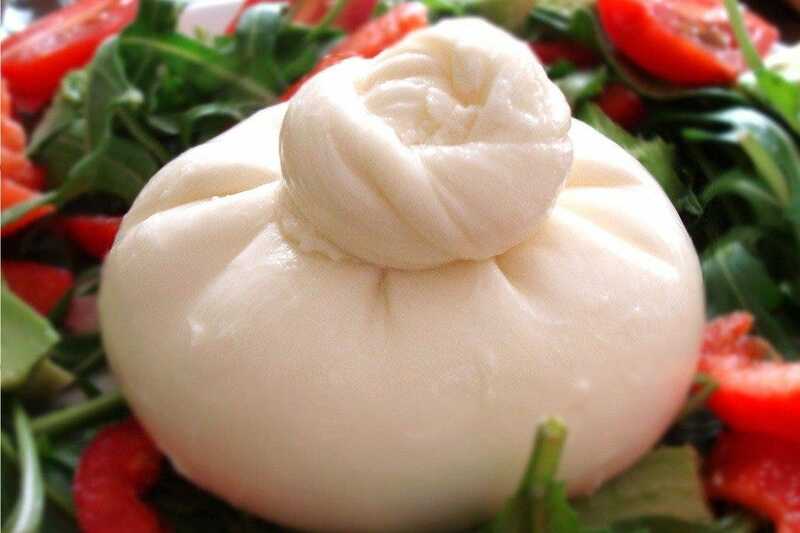 Here you'll find large plates of Italian specialties sure to fill the super sized appetites that are often found when one exercises a lot, making Strega a hot spot among professional athletes. 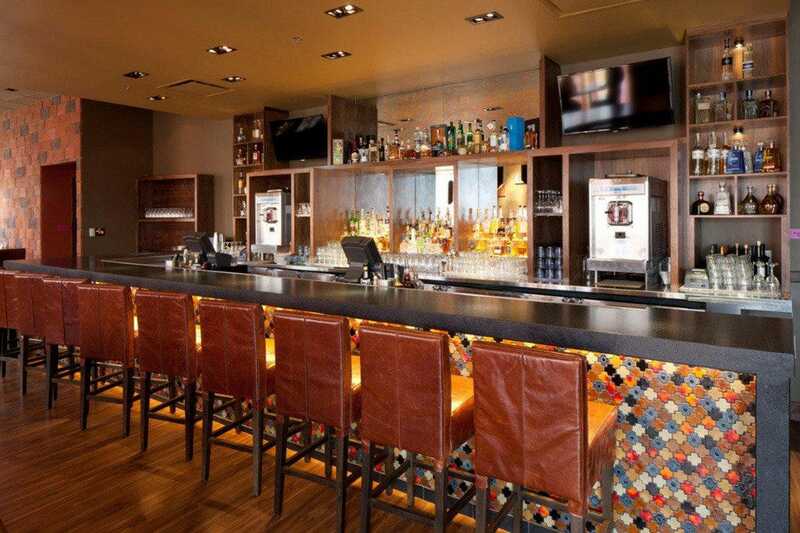 Strega also boasts a masculine, yet refined setting that is welcoming as well as comforting. Their patio is packed all summer long with those looking to enjoy the outdoors and watching the activity on the water. While the dining room often fills with patrons who love their cocktails as much as their food. 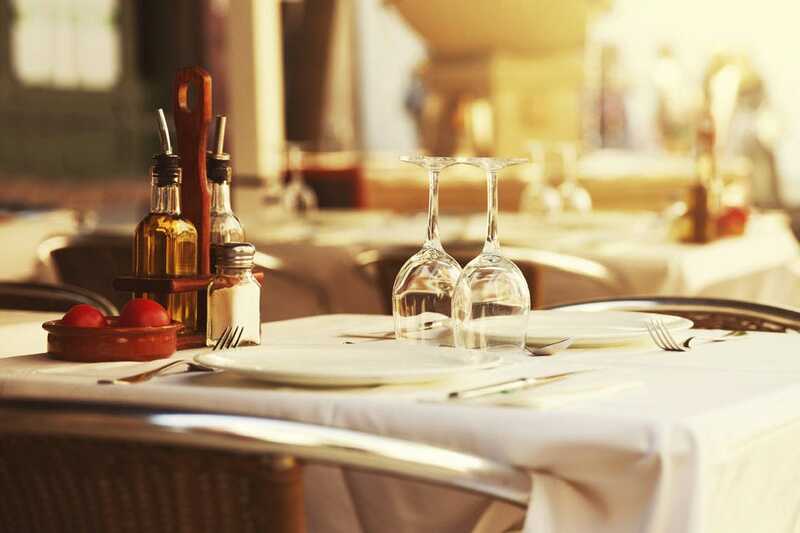 Located in Liberty Wharf, one of the hottest places to dine in the city, Del Frisco's offers something special in terms of food and setting. This Boston steak house is not just stunning inside but also offers a spectacular backdrop for outdoor waterfront dining. Glass walls enclose the patio and make it the perfect spot to enjoy their fabulous food. A meal here will have you encountering more than one extra friendly, helpful waiter whose sole purpose is to make your meal memorable. 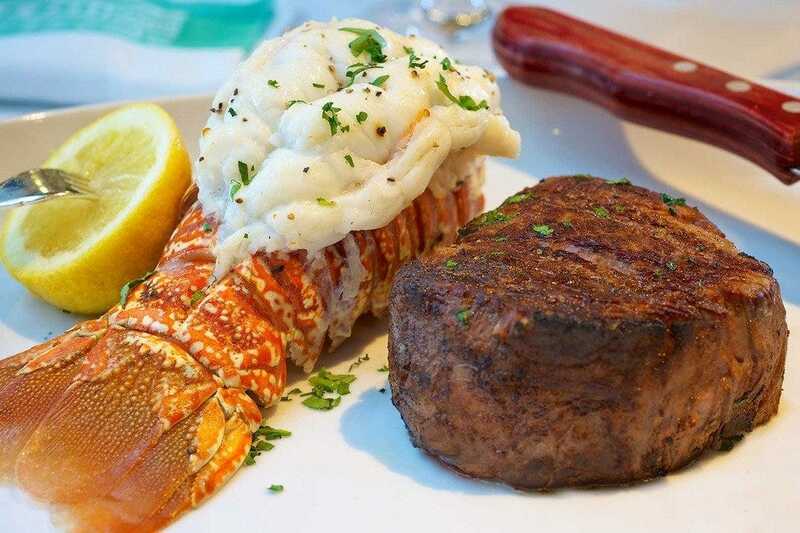 And believe me memorable it will be because each bite at Del Frisco's leaves you longing for one more. Indulge in appetizers like the calamari and crab cake and be sure to bite into a steak. Legal Harborside is hot, and very good reason. It is casual, fun, family friendly (avoid prime times with a young family), moderately priced, has a spectacular view and, good basic seafood. Legal Harborside is the perfect spot for enjoying a bowl of their famous chowder or fish n' chips. 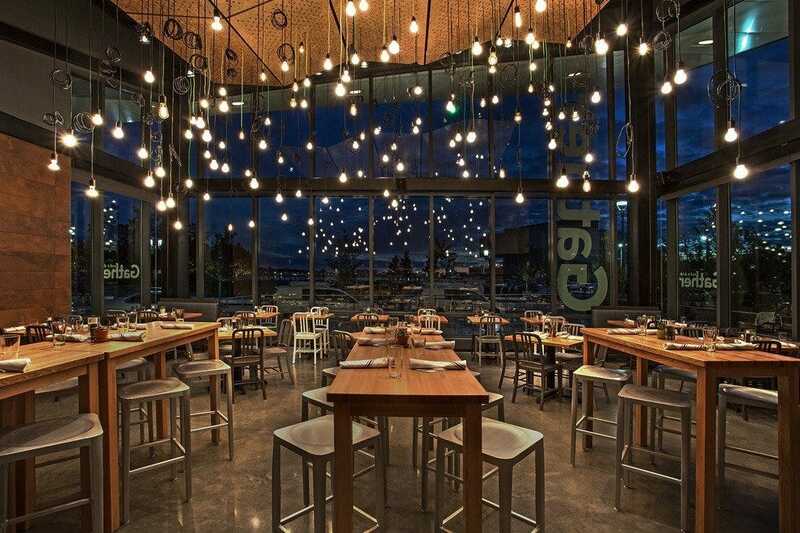 Located in the Seaport District's Liberty Wharf, Legal Harborside is the flagship location for Legal Seafood. 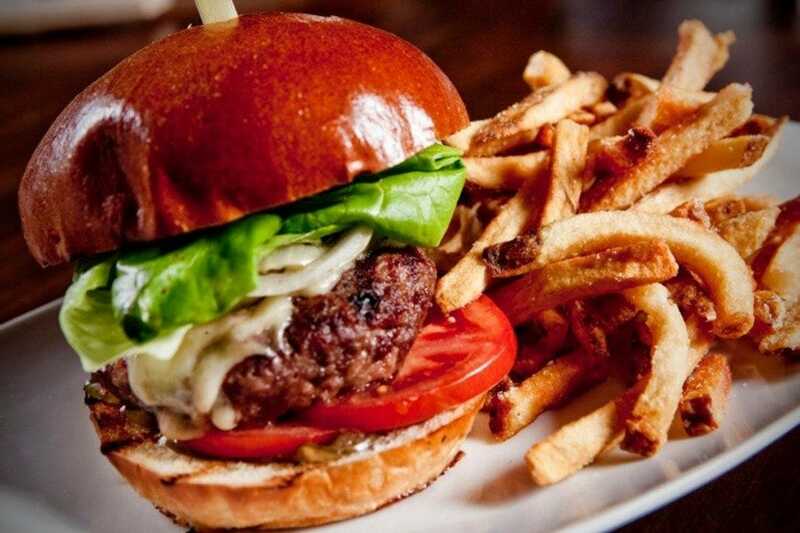 Offering many legal classics as well as newer additions the food often gets overlooked as patrons are focused on the view. Boasting floor to ceiling windows you cannot help but enjoy the waterfront scene unfolding a few feet before your eyes.